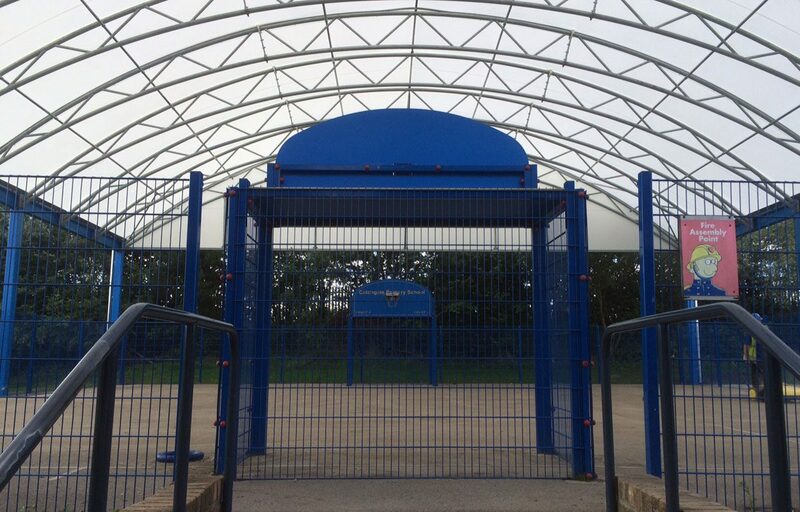 An 18.5m x 18.5m span MUGA canopy helps Catchgate Primary ensure children reach their full potential in P.E and sport by offering attractive, inspiring and functional play all year round. The tapered trellis design is finished in an opal fabric roofing solution. The technology, made exclusively for Fordingbridge, is 100% waterproof, allows optimum light transmission for sporting activities and has a 10 year guarantee. The structure has the added capability to increase revenue streams for Catchgate Primary with its ability to offer out of hours use to the community. 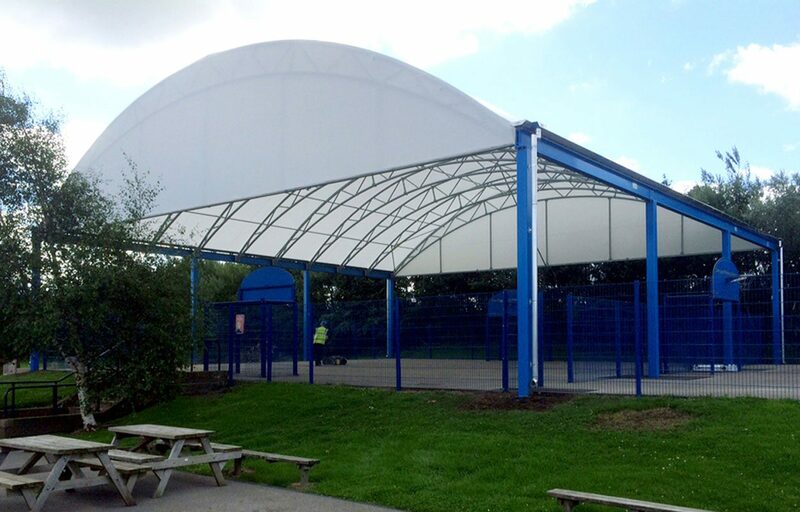 If you would like to know more about the benefits of MUGA’s and how to obtain funding, view this blog post.